Mazda recently announced at the New York International Auto Show that it will be adding Apple CarPlay to its new 2018 Mazda6. Mazda’s new 2018 mid-size sedan will be the first Mazda vehicle that will support both Apple’s CarPlay and Android Auto in the United States on the Touring trim or higher, which will be available later this summer. Also, look for Mazda to introduce its new theme called “Feel Alive” along with its new upcoming models. 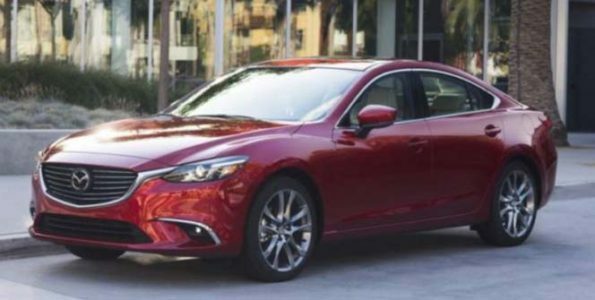 Mazda will offer CarPlay as an upgrade option at the time of purchase to all the 2018 Mazda6 models, and if a customer has already purchased the new sedan model and would later like to add the screen display to the vehicle, the option to do so will be available. Last year, Mazda announced that when CarPlay would become available, the system would be “retroactively upgradeable to all Mazda Connect systems with a minimal hardware addition possibly needed.” Mazda Connect was first made available in Mazda vehicles in 2014, so many vehicles are expected to participant in making this upgrade. It’s scrapped for older models. Now the cars are so computerized that it is worth to be afraid not only of mechanical failure but also electronic.